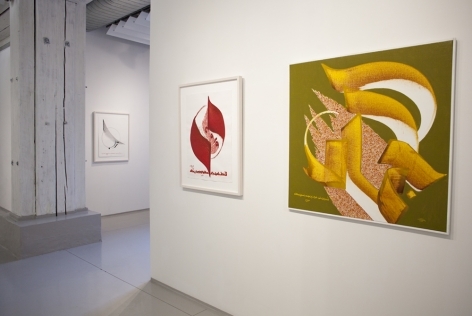 Sundaram Tagore Chelsea is pleased to present the first New York solo exhibition of work by Hassan Massoudy, a celebrated Iraqi-born artist based in Paris. 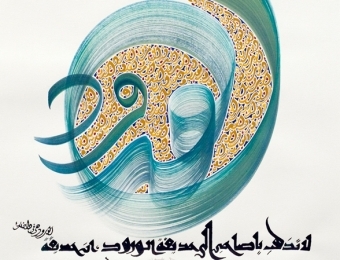 Classically trained in calligraphy, Massoudy inscribes oversized letters in vibrant color to create visually striking works which usher traditional Arabic script into a contemporary context. 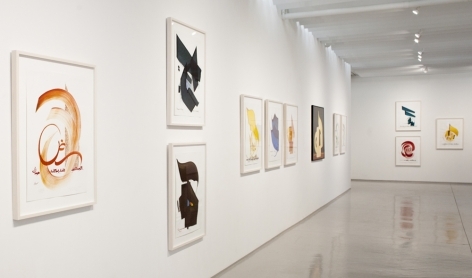 This exhibition features more than twenty-five works on paper alongside notable paintings on canvas. 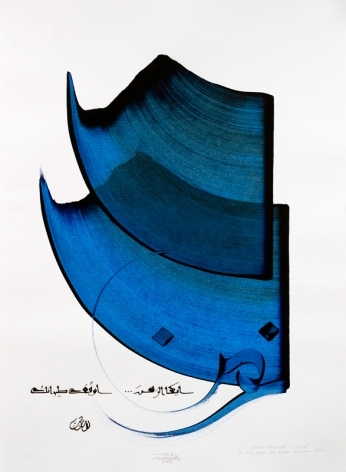 Born in Najaf, Iraq in 1944, Massoudy was surrounded by Arabic calligraphy, which adorned the walls of libraries, mosques and religious schools, throughout his childhood. Since an early age, he observed his uncle who was an amateur calligrapher. 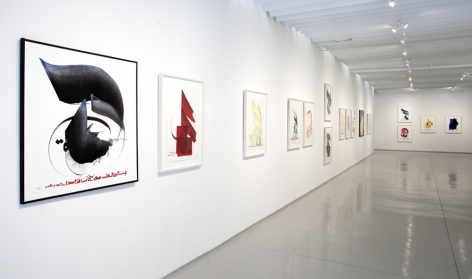 At 17, Massoudy decided to move to Baghdad to study calligraphy. Living in the capital was an eye-opening experience for the young apprentice as he was exposed to contemporary art exhibitions for the first time. 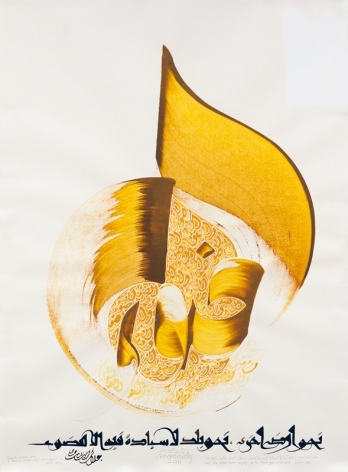 In 1969, Massoudy moved to France to escape political turmoil and continue his education. He studied figurative painting at the world-renowned École Nationale Supérieure des Beaux-Arts while continuing his calligraphic practice. To support himself during his student days, he produced headlines for Arabic magazines. Over time, his calligraphy replaced his figurative paintings entirely. 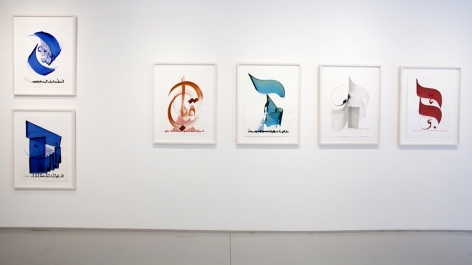 Today, Massoudy is known for his colorful compositions based on texts from Eastern and Western poets, authors and philosophers. Fascinated by ancient and contemporary writing, he often turns to quotes about love, nature and most importantly, humanism. 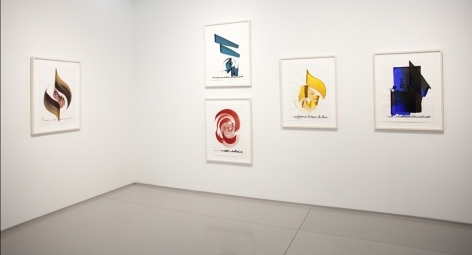 Once he has selected a passage, Massoudy enlarges a single word from the text and paints it in the center of his composition using a flat brush or instruments fashioned from wood or cardboard. He then incorporates the full passage into the work which he writes using a qalam (a traditional writing instrument made from a dried reed). 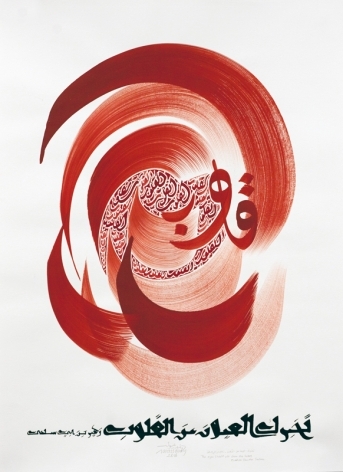 Calligraphies of Love (Saqi Books, 2017), Hassan Massoudy’s new English-language book of works inspired by love poems from the Arab and Islamic world, will be released in April. 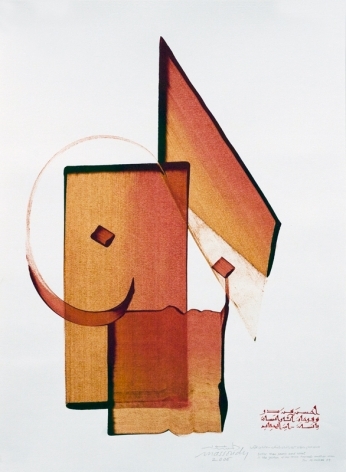 Hassan Massoudy has exhibited his work at prestigious institutions across the globe including the The Kennedy Center, Washington, D.C.; the British Museum, London; Musée des Manuscrits du Mont Saint Michel, Avranches, France; Centre d’Art Contemporain, Abbaye de Trizay; and the Palais des Congrès de Grasse, France. His work is in the collections of the British Museum, London; Asian Civilisations Museum, Singapore; and Musée du Quai Branly, Paris. 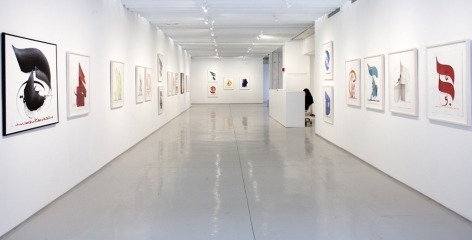 In 2013, he showed at the Sharjah Biennial 11 and two years later he exhibited at Frontiers Reimagined, a Collateral Event of the 56th Venice Biennale. 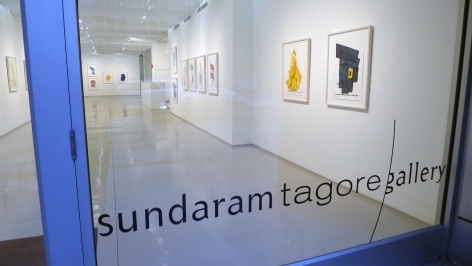 For more information about this exhibition, email press@sundaramtagore.com or call 212-677-4520.